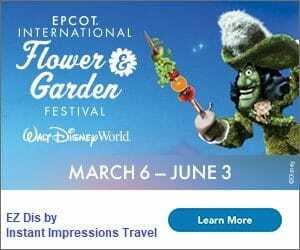 Want to know more about the Disney Legends Program or this series of posts? Start here! When we went to the D23 Expo this summer, we were of course right in the middle of the hoopla surrounding the latest Disney Legends inductees. For 2015, the program honored Andreas Deja, Carson van Osten, Julie Reihm Casaletto, George Lucas, Susan Lucci, Danny Elfman, George Bodenheimer, Eyvind Earle, and Johnny Depp. Admittedly, I didn’t know who a few of those were, or why they were being honored. One name I recognized (but didn’t know much about) was Andreas Deja. Deja was born in Poland and grew up in Germany, where he dreamt of coming to the United States and becoming a Disney animator. He credits his first time watching The Jungle Book for his passion for animation. He realized it sort of an “exotic” idea, and this notion was supported as friends and family told him it was a highly unlikely dream. Nonetheless, he sent some of his work to Disney Legend Eric Larson, who told him he just may make it. He came to California in 1980 for the animation training program, and began work on his first Disney film – The Black Cauldron. 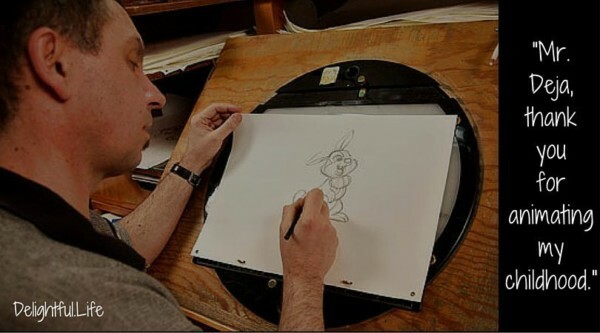 He also worked on The Great Mouse Detective, Who Framed Roger Rabbit?, The Prince and the Pauper, and Fantasia 2000. Perhaps his best work, though, comes in his hand-drawn characters we all know and love. Dejas brought to life Gaston (Beauty and the Beast), Jafar (Aladdin), Scar (The Lion King), Hercules, Lilo (Lilo & Stitch), King Triton (The Little Mermaid), Mama Odie (The Princess and the Frog), and Tigger (Winnie the Pooh), among others. 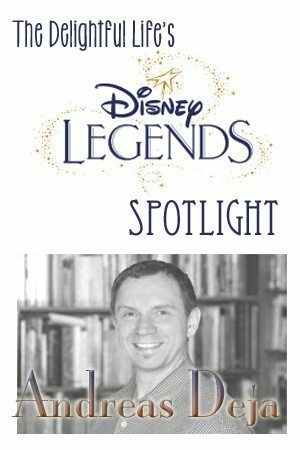 Andreas Deja worked with many of Disney’s Nine Old Men, and is still a prominent animator on the scene today. He is such an important link from the past of Walt Disney Animation to the future. Follow Deja’s beautiful, informative blog at Deja View. Watch his gracious, funny, and charming Disney Legends acceptance speech here.